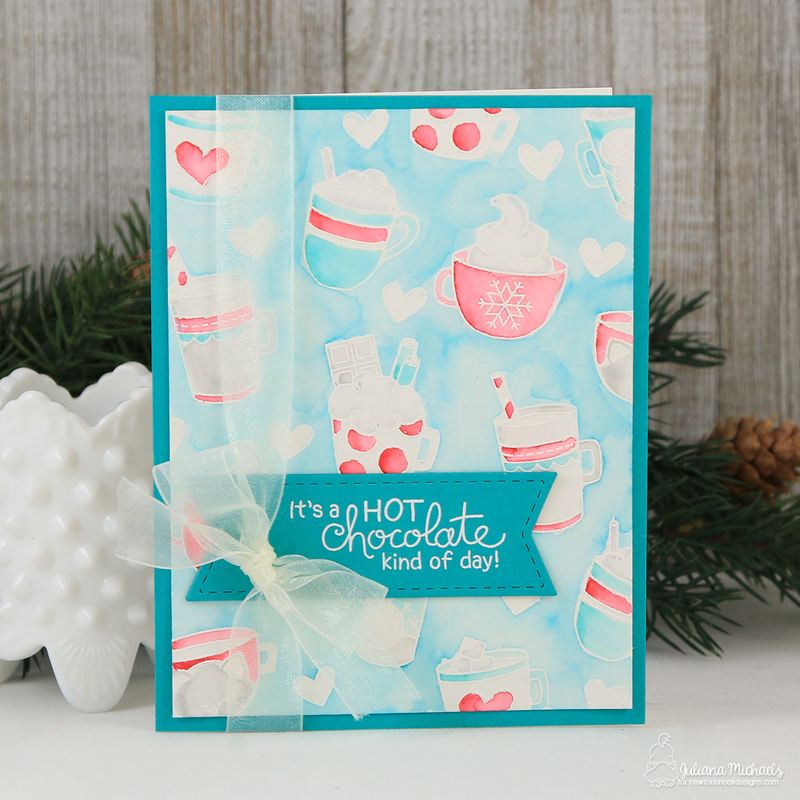 Hello and welcome to Day 3 of the Newton's Nook Designs November Release Blog Hop! 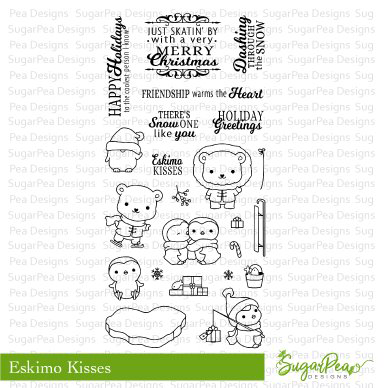 All of the new stamps and dies that we have revealed this week, will be available on Friday November 24 along with an amazing Black Friday Sale where everything will be on sale...including all of the new release. So make sure you head over to Newton's Nook Designs and check it out on Friday. 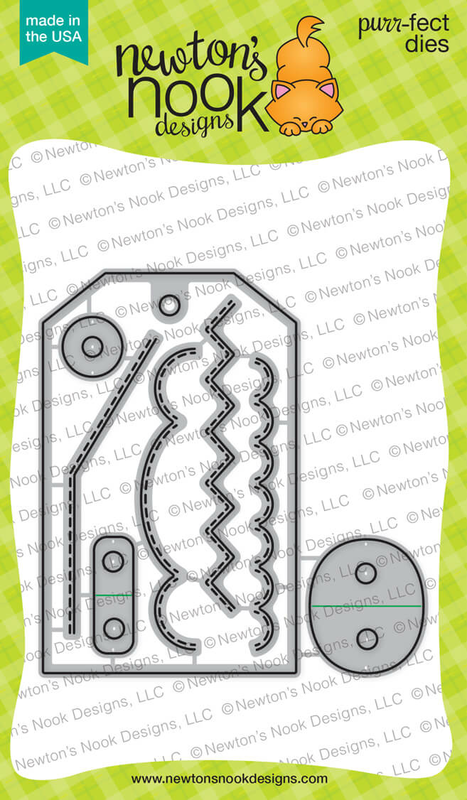 Today we have 2 new stamp sets to reveal and this first one is the ever adorable Newton! Check out how cute he is hugging the candy cane! I stamped and colored him using Chameleon Pens and die cut him with the coordinating dies. 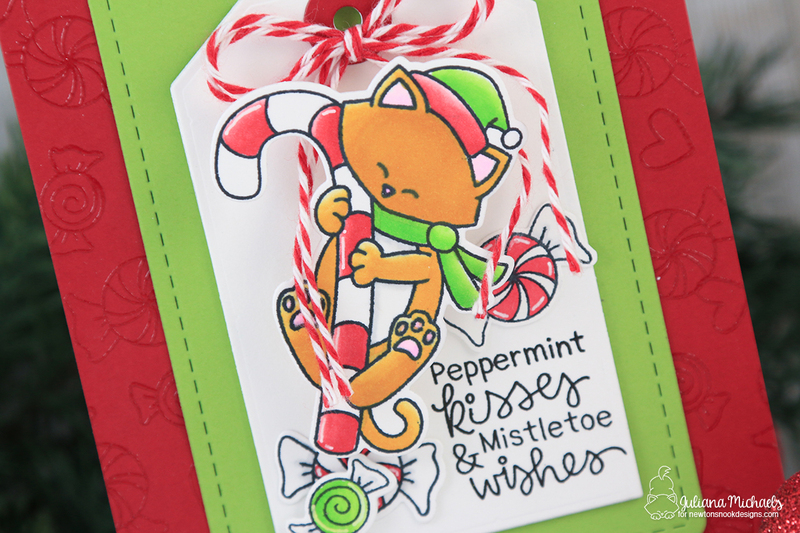 I then added a few extra peppermints to bring some extra sweetness to the design. 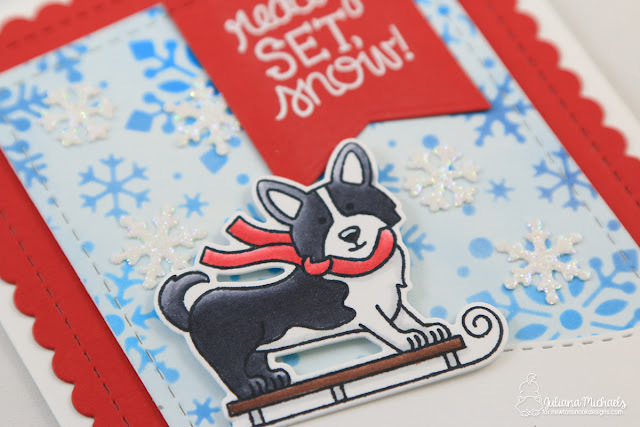 I then adhered him to a cardstock tag created using the new Fancy Edge Tag Die Set. 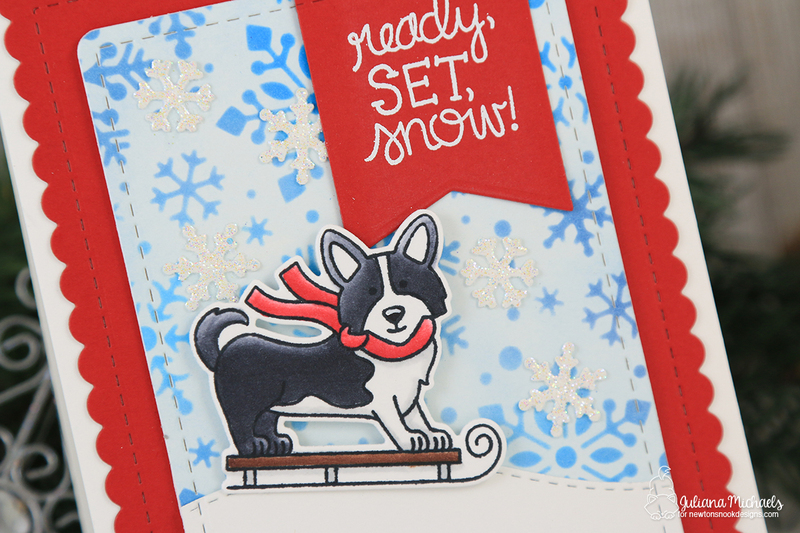 The tag was then layered onto a piece of cardstock die cut using a frame from the Frames & Flags Die Set. Using the mint and heart stamps, I created my own background paper. I stamped them randomly onto a piece of cardstock using Versamark Embossing Ink and then heat set them with clear embossing powder. The second set today features one of the most adorable creatures ever....a llama! 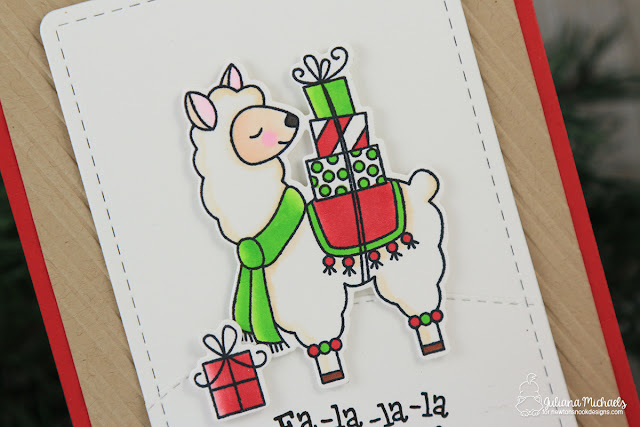 I mean, who doesn't love a llama?! I went pretty simple with this card design. I stamped the image and colored it using Chameleon Pens. The white cardstock piece was created using one of the frame dies from the new Frames & Flags Die Set. 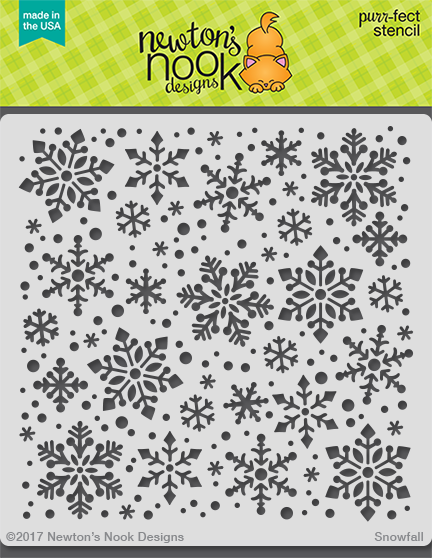 I then cut another piece of white cardstock to create a snowy hill using the Land Border Dies. 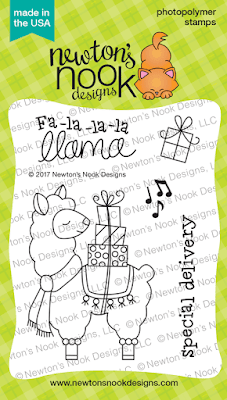 I stamped the sentiment onto the hill and then adhered the llama and present using double sided foam tape. 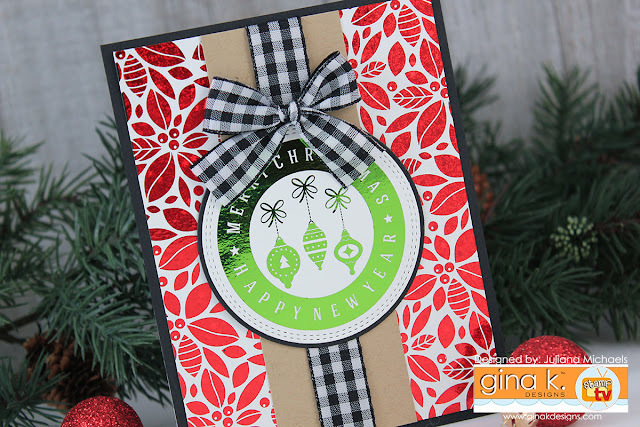 For some extra texture, I embossed a piece of kraft cardstock using an embossing folder then layered everything together and attached it to the card base. 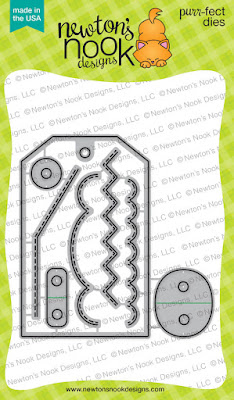 Would you like to win the “Newton's Candy Cane” or the "Special Delivery" Stamp Set? Each of these stamp sets will be given away to ONE lucky winner! If your answer is yes, then all you have to do is comment on the NND blog and each of the Design Team blogs (see list below)! The winner will be chosen at random from the collective reveal posts. Make sure to check out each of their blogs and comment for your chance to win. You will not know which blog has been chosen so the more you comment on the better your chances are of winning! You have until Wednesday November 22nd at 9pm CST to comment -- winners will be announced on the blog post on Friday, November 24th. 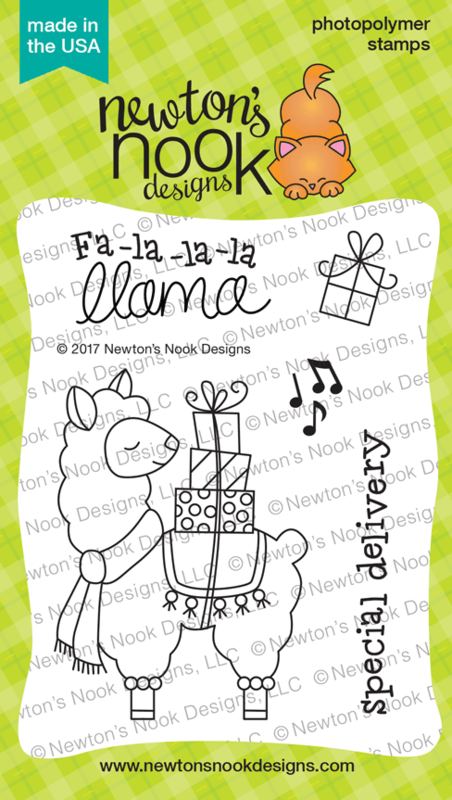 Are you interested in the Newton's Nook Designs products I used to create my cards? These are the new stamps and dies I used to create the above cards and they will be available to purchase Friday, November 24! Hello and welcome to Day 2 of the Newton's Nook Designs November Release Blog Hop! Today we have a new set to share that is perfect for all the dog lover's out there. I began by stamping and coloring the cute husky on the sled from the Winter Woofs Stamp Set using Chameleon Pens. I then die cut him using the coordinating dies. The background was created using the Snowfall Stencil with Distress Oxide in Salted Ocean and Faded Jeans. 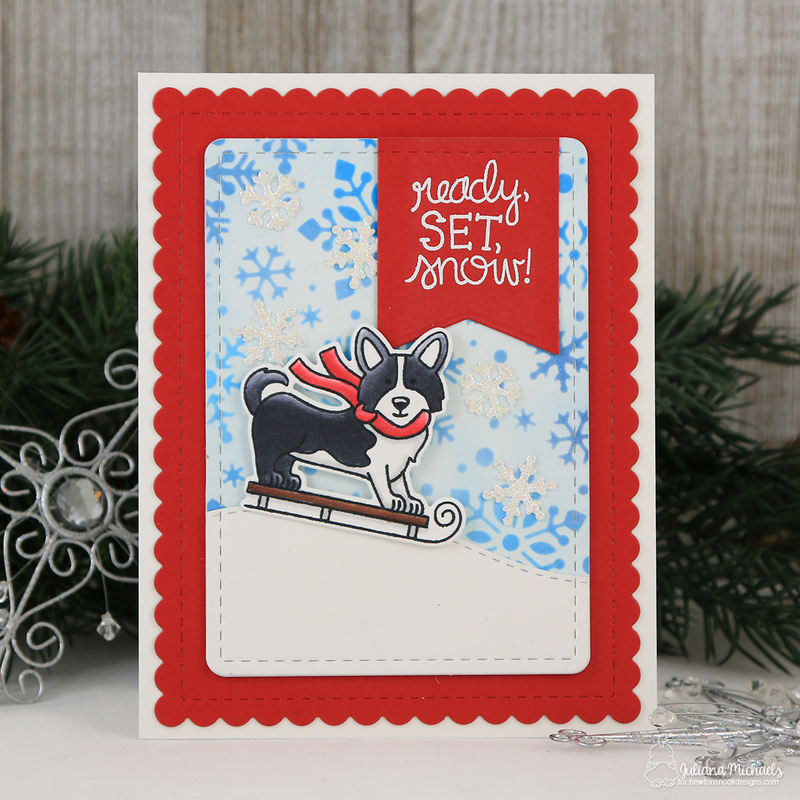 I die cut the background using the new Frames & Flags Die Set and created a snowy hill using the Land Border Dies. The sentiment was stamped onto a banner from the Frames & Flags Die Set and heat embossed with white embossing powder. I then matted everything onto a piece of red cardstock die cut using the Frames & Flags die once again. As you can tell, I'm loving this new die set! 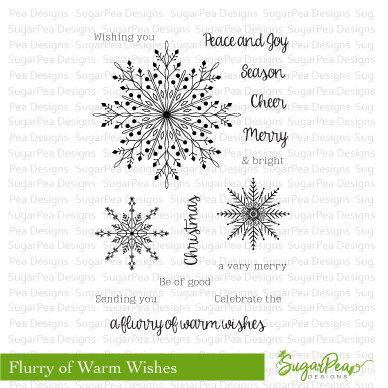 The final touch was the addition of some glittered snowflakes I die cut using the snowflake dies from the Snow Globe Shaker Die Set. 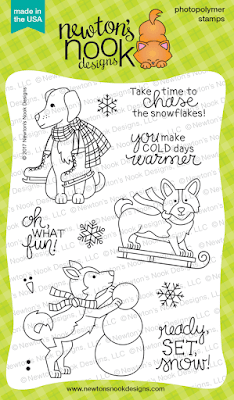 Would you like to win the “Winter Woofs” Stamp Set? This stamp set will be given away to ONE lucky winner! If your answer is yes, then all you have to do is comment on the NND blog and each of the Design Team blogs (see list below)! The winner will be chosen at random from the collective reveal posts. Make sure to check out each of their blogs and comment for your chance to win. You will not know which blog has been chosen so the more you comment on the better your chances are of winning! You have until Wednesday November 22nd at 9pm CST to comment -- winners will be announced on the blog post on Friday, November 24th. 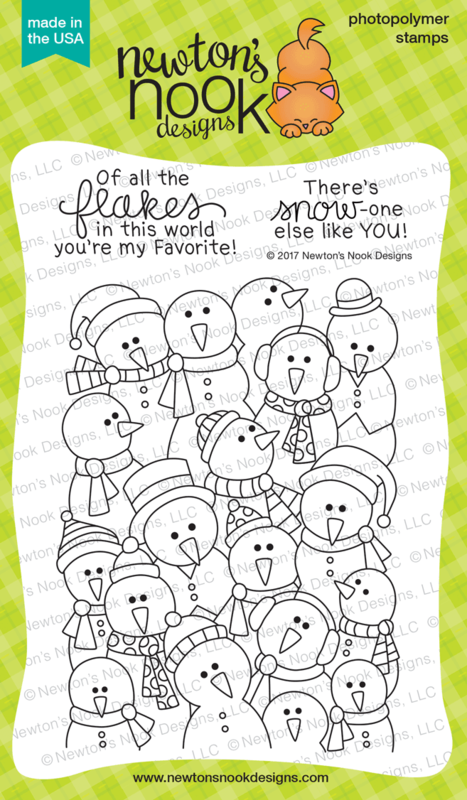 Are you interested in the Newton's Nook Designs products I used to create my cards? 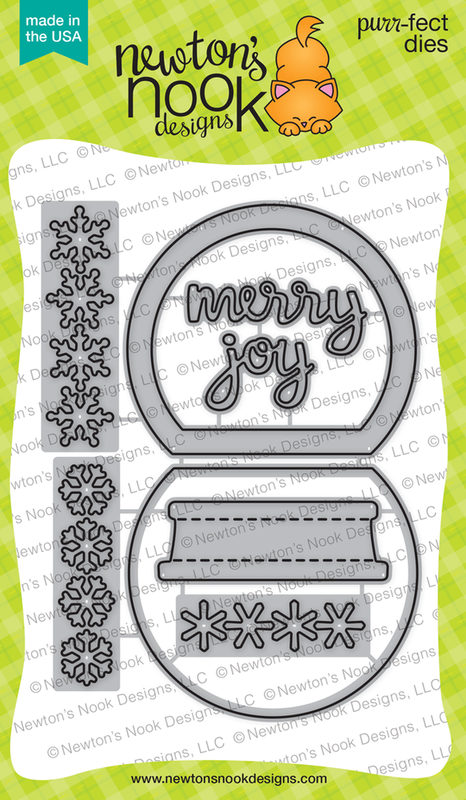 The new stamps and dies will be available to purchase Friday, November 24 along with an amazing Black Friday Sale! 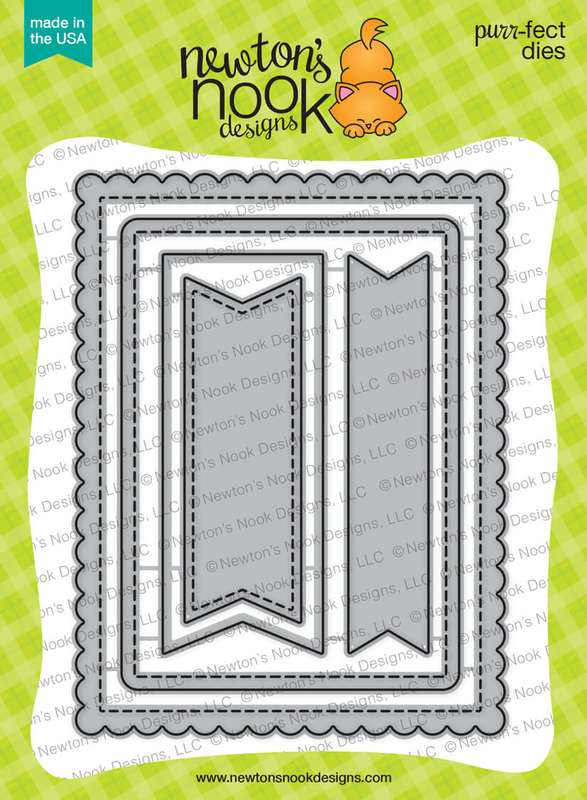 Hello friends and welcome to Day 1 of the Newton's Nook Designs November Release Blog Hop! 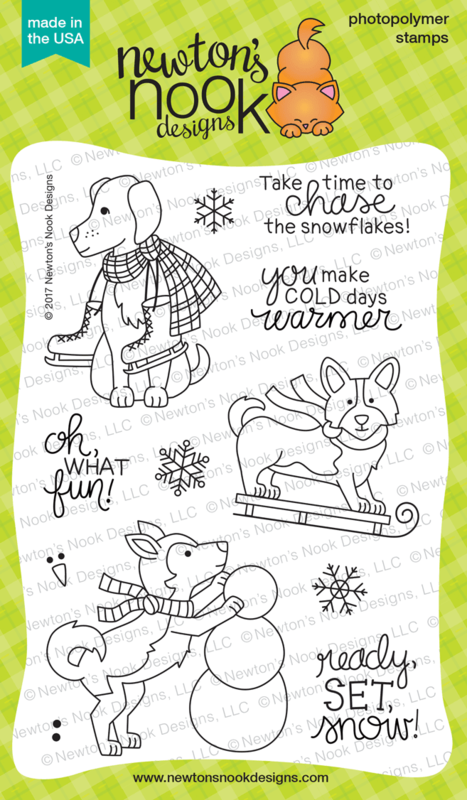 Today we have 2 new stamp sets that are going to be on your must have list for winter card making. 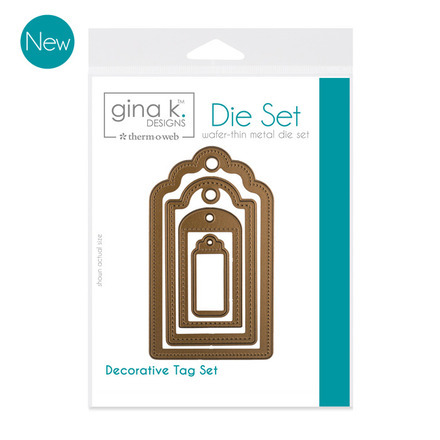 We also have 2 new stand alone die sets that will also be on your must have card making list when it comes to any time of the year! 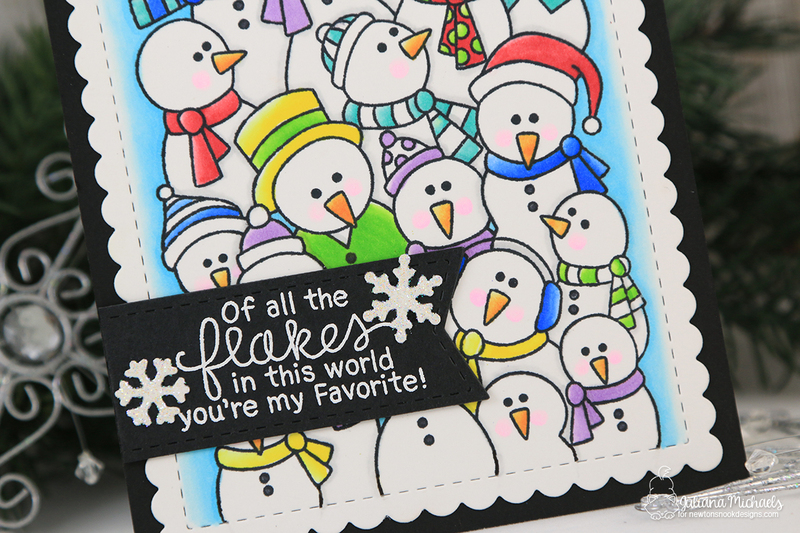 First up, I'm sharing the card I created using the new Frozen Fellowship stamp set. 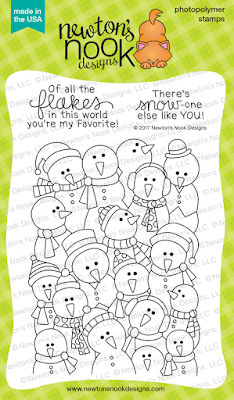 I am just in love with these adorable snowmen and the unlimited possibilities for this stamp set. I got a bit ambitious and colored them all in using Chameleon Pens in a rainbow of colors. 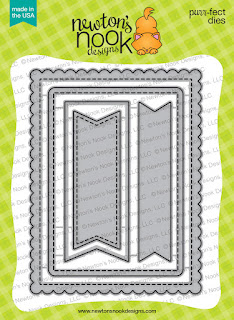 I then die cut the image using the scallop frame die from the new Frames & Flags Die Set. The sentiment was stamped onto a die cut banner that I cut using a banner die from the same new die set. Seriously, I can't say enough about how awesome this die set is. 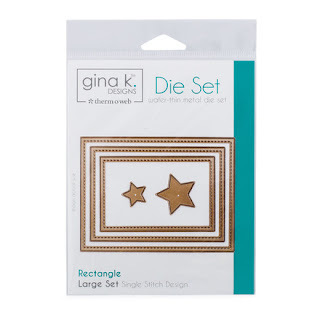 It is my new go-to staple in my card making die stash! 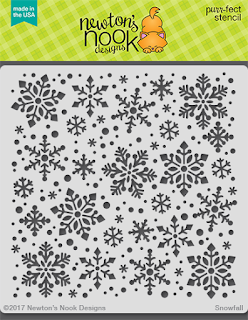 For the final touch, I added a couple of glittered snowflakes die cut using the snowflakes from the Snow Globe Shaker Die Set (which is from the October release). 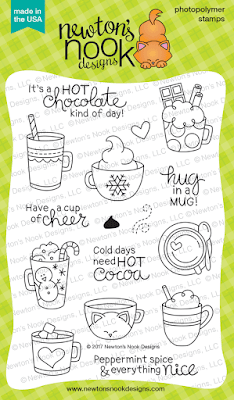 My second card today features the new Cup of Cocoa stamp set. 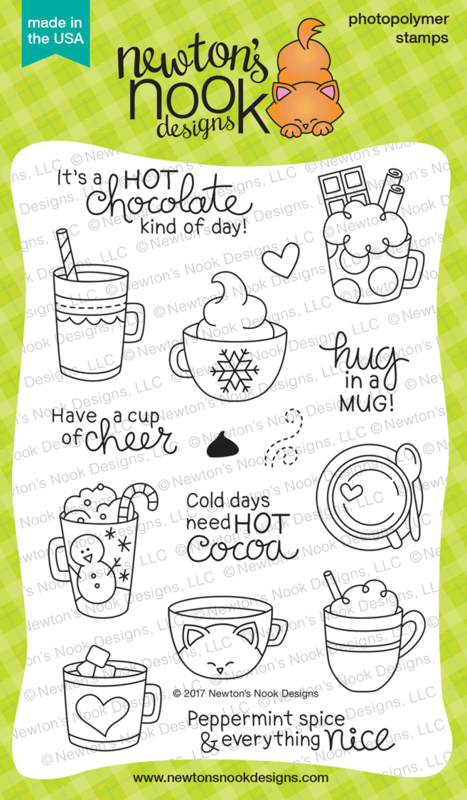 Winter always screams hot cocoa to me and this set is perfect for all you hot cocoa lover's out there. I also see this being a great set for those of you who play along with the Coffee Lover's Blog Hop which is coming up starting on December 8. To create this card, I randomly stamped some of the cups and the heart onto a piece of water color paper with Versamark Embossing Ink. Next, I heat embossed the images with white embossing powder. I then used Zig Clean Color Real Brush Markers and used a water brush to color the images and the background. For the sentiment, I stamped and heat embossed it using white embossing powder onto a banner die from the new Frames & Flags Die Set. 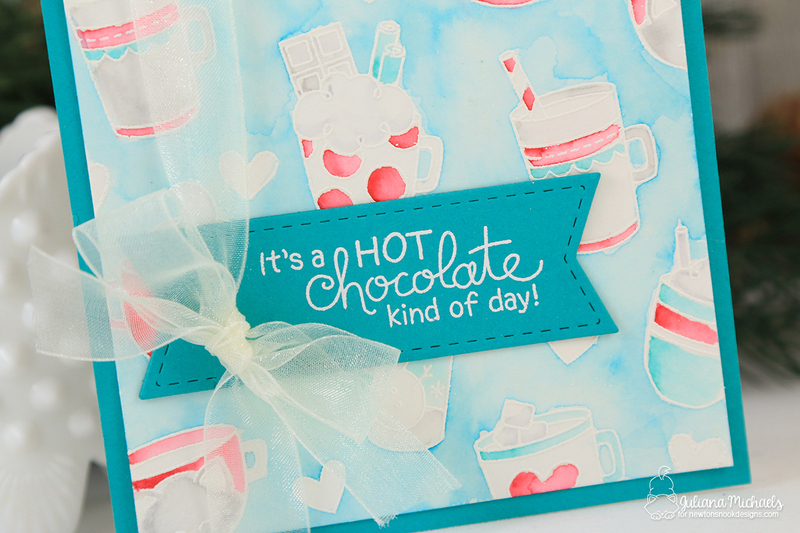 Would you like to win the “Cup of Cocoa” or the “Frozen Fellowship” Stamp Set? Each of these stamp sets will be given away to ONE lucky winner! If your answer is yes, then all you have to do is comment on the NND blog and each of the Design Team blogs (see list below)! The winner will be chosen at random from the collective reveal posts. Make sure to check out each of their blogs and comment for your chance to win. You will not know which blog has been chosen so the more you comment on the better your chances are of winning! You have until Wednesday November 22nd at 9pm CST to comment -- winners will be announced on the blog post on Friday, November 24th. 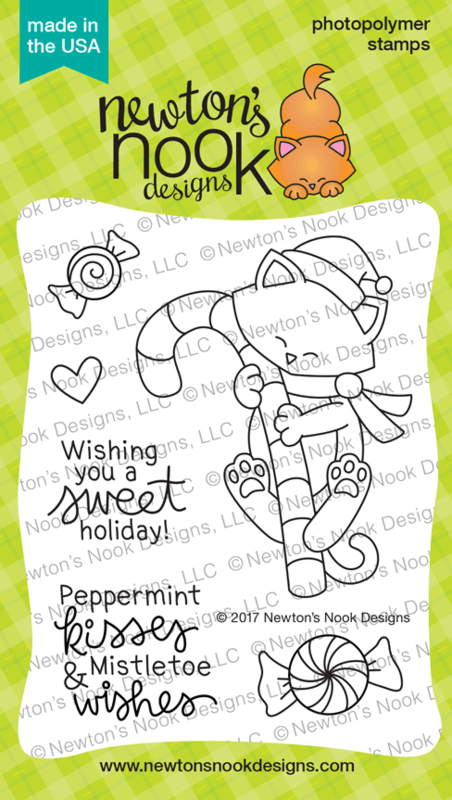 Are you interested in the Newton's Nook Designs products I used to create my cards? These are the new stamps and dies I used to create the above cards and they will be available to purchase Friday, November 24. 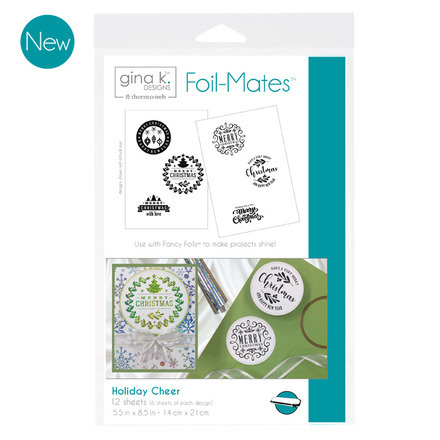 Hello friends and welcome to the Gina K. Designs Make Your Holiday Shine with Foil-Mates™ Blog Hop! 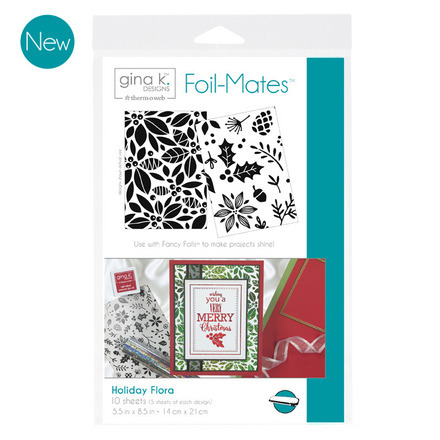 Today the design team from Gina K. Designs is sharing ideas for creating Christmas Gift Wrap and Cards using the brand new Foil-Mates™ Holiday Release. All of the new products are perfect for creating easy, but elegant looking Christmas cards and gift wrap for the upcoming holiday season. 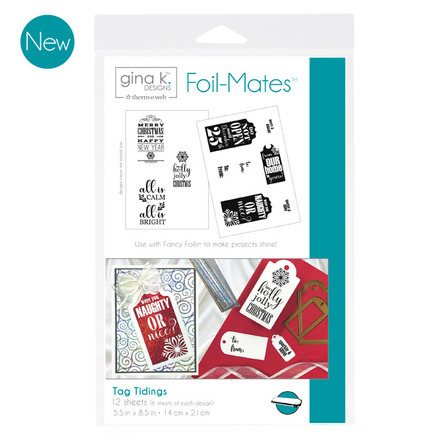 You can check out all of these new products in the Gina K. Designs Shop under the Foil-Mates™ Collection. Make sure to keep reading for some inspiration using these new products and then hop along for your chance to win a $25 gift certificate and to see more festive inspiration from the Gina K. Design Team. All of the details about the hop and giveaway are listed below. 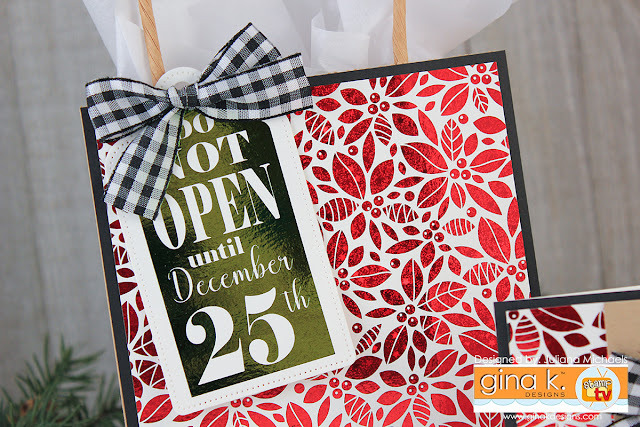 To create the background on my coordinating Christmas gift bag and card I used a full sheet of the Foil-Mates™ Background - Holiday Flora on the bag and a half sheet on the card. I then trimmed each piece to size and matted it on a piece of Black Onyx cardstock. I foiled both of these with a piece of Fancy Foils in Radiant Red. 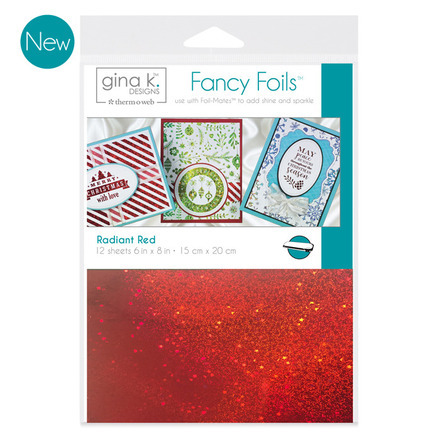 All of the new foils have the shimmer and shine of glitter, but without all the mess. You gotta love that! Make sure you hang onto the scraps of foil from both of these. Below, I have a bonus project to share with you on how to use some of these scraps. The tag on the gift bag was created using the Foil-Mates™ Sentiments - Tag Tidings. 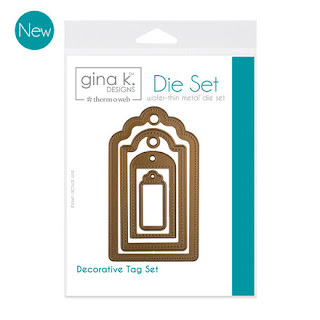 These sentiments were designed to be used with the new Gina K. Designs Decorative Tag Dies. I foiled the tag with a piece of Fancy Foils in Grass Green. The sentiment on the card was created using the Foil-Mates™ Sentiments - Holiday Cheer. 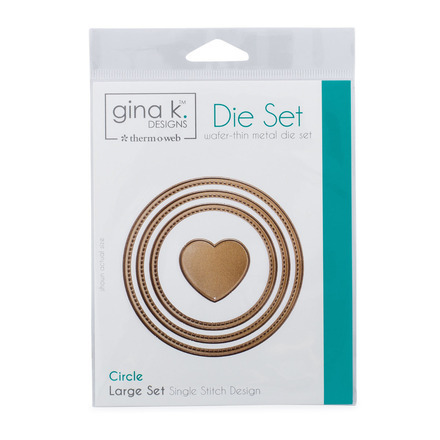 I die cut it using the Gina K. Designs Stitched Circle Dies and then foiled it with Fancy Foils in Grass Green. 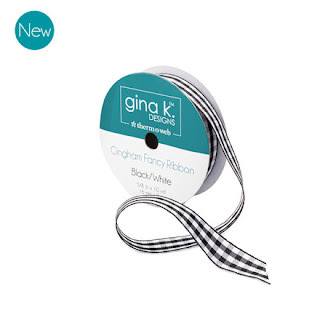 For the final decorative touch on both the gift bag and card, I added some of the new Gingham Fancy Ribbon. 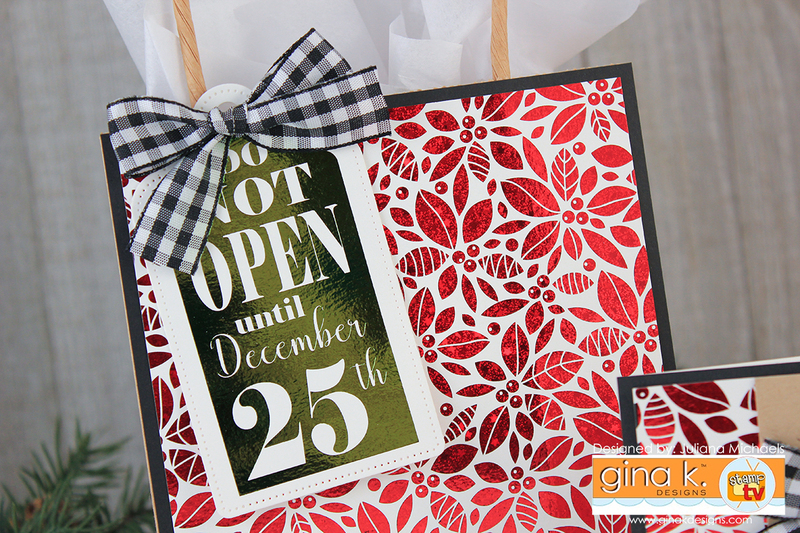 I told you to hang onto those Foil Scraps and now I'm going to share with you a fun way to use them. I'll admit most of my scraps end up in the trash. However, after I created the Christmas card above, I knew I had to save that scrap to create another card. It was just too pretty to throw away! 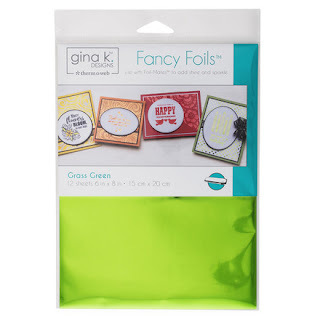 If you've never used your scraps to foil with, I will walk you through the process. 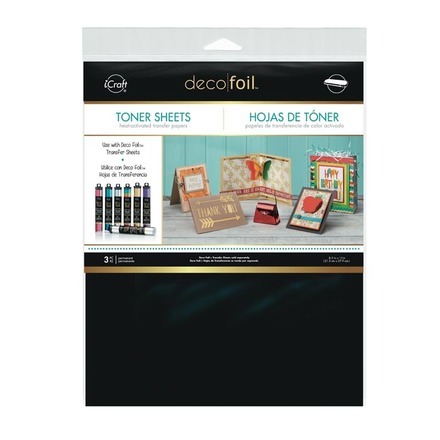 To start with, you will need some Therm O Web Deco Foil Toner Sheets. Cut the Toner Sheet to size, place the scrap of Fancy Foil on top of it, position it between a piece of parchment paper and run this through your preheated laminator. Peel off the transfer sheet to reveal the foiled design. The Toner Sheets are black and I wanted to add more color, so I trimmed a piece of Fancy Foils in Grass Green, placed it on top of the previously foiled toner sheet and ran it back through the laminator. Now it is covered in red and green foil! 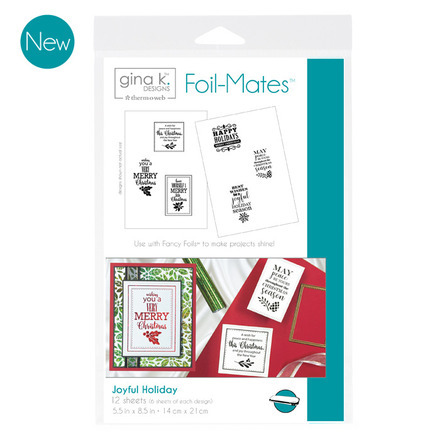 For more inspiration on using your Fancy Foil Scraps, check out these Birthday Cards I created with Gina K. Designs Foil-Mates™. 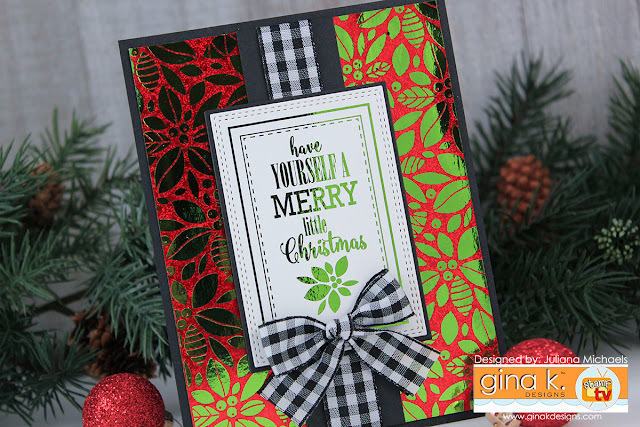 For this card, I used the Foil-Mates™ Sentiments - Joyful Holiday and foiled it with Fancy Foil in Grass Green. I then die cut is using the Gina K. Designs Stitched Rectangles, which work perfectly with these sentiments. Would you like to win a $25 gift certificate to Gina K Designs? If your answer is yes, then all you have to do is visit each blog along the hop (listed below) and leave a comment. 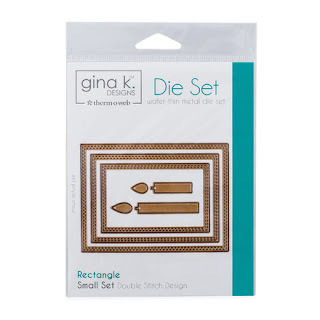 One lucky winner will receive a $25 Gina K Designs gift certificate! 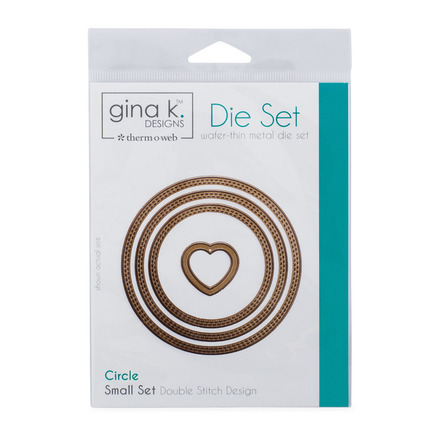 Are you interested in the Gina K Designs supplies I used to create these cards? To make them easy for you to find, I have listed them below. Affiliate links are used at no additional cost to you.